Colts Neck Inlays and Onlays | Anthony Scianni, D.M.D. 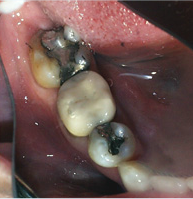 Chipped, broken, decayed or teeth with large silver fillings typically need some type of restorative work. In the past most of these teeth were restored with Crowns or caps. Now most of these conditions can be restored with inlays and onlays and with our state-of-the-art technology (CEREC - One Visit Dentistry), single or multiple restorations can be performed in just one single visit. 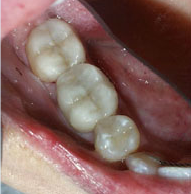 Inlays and onlays are porcelain restorations that are custom-made for the patient which are bonded to the natural tooth. Although treatment time is short, the list of benefits is long. A bonded inlay or onlay is a very conservative restoration because it is minimally invasive and it conserves a maximum amount of tooth structure resulting in a stronger, natural looking and natural feeling tooth. By conserving as much tooth structure as possible, these restorations save you time, money and can even prevent more extensive and invasive future dental treatment such as crowns, root canals or extractions.